Welcome to Week 132 of the Creative Spark Link Party! We know that you are constantly looking for inspiration and we wanted be able to provide a place for you to come for inspiration! So every Wednesday hop on over here to Creative Spark Wednesday where FOUR (eek!) blogs, Weekend Craft, My Paper Craze and Two Purple Couches, join together to feature projects, provide a place for bloggers to link up and a crafting/DIY hub of inspiration. Welcome to Week 131 of the Creative Spark Link Party! We know that you are constantly looking for inspiration and we wanted be able to provide a place for you to come for inspiration! So every Wednesday hop on over here to Creative Spark Wednesday where FOUR (eek!) blogs, Weekend Craft, My Paper Craze and Two Purple Couches, join together to feature projects, provide a place for bloggers to link up and a crafting/DIY hub of inspiration. Welcome to Week 130 of the Creative Spark Link Party! We know that you are constantly looking for inspiration and we wanted be able to provide a place for you to come for inspiration! So every Wednesday hop on over here to Creative Spark Wednesday where FOUR (eek!) blogs, Weekend Craft, My Paper Craze and Two Purple Couches, join together to feature projects, provide a place for bloggers to link up and a crafting/DIY hub of inspiration. Welcome to Week 129 of the Creative Spark Link Party! We know that you are constantly looking for inspiration and we wanted be able to provide a place for you to come for inspiration! So every Wednesday hop on over here to Creative Spark Wednesday where FOUR (eek!) blogs, Weekend Craft, My Paper Craze and Two Purple Couches, join together to feature projects, provide a place for bloggers to link up and a crafting/DIY hub of inspiration. Welcome to Week 125 of the Creative Spark Link Party! We know that you are constantly looking for inspiration and we wanted be able to provide a place for you to come for inspiration! So every Wednesday hop on over here to Creative Spark Wednesday where FOUR (eek!) blogs, Weekend Craft, My Paper Craze and Two Purple Couches, join together to feature projects, provide a place for bloggers to link up and a crafting/DIY hub of inspiration. Welcome to Week 124 of the Creative Spark Link Party! We know that you are constantly looking for inspiration and we wanted be able to provide a place for you to come for inspiration! So every Wednesday hop on over here to Creative Spark Wednesday where FOUR (eek!) blogs, Weekend Craft, My Paper Craze and Two Purple Couches, join together to feature projects, provide a place for bloggers to link up and a crafting/DIY hub of inspiration. Welcome to Week 123 of the Creative Spark Link Party! We know that you are constantly looking for inspiration and we wanted be able to provide a place for you to come for inspiration! So every Wednesday hop on over here to Creative Spark Wednesday where FOUR (eek!) blogs, Weekend Craft, My Paper Craze and Two Purple Couches, join together to feature projects, provide a place for bloggers to link up and a crafting/DIY hub of inspiration. Welcome to Week 122 of the Creative Spark Link Party! We know that you are constantly looking for inspiration and we wanted be able to provide a place for you to come for inspiration! So every Wednesday hop on over here to Creative Spark Wednesday where FOUR (eek!) blogs, Weekend Craft, My Paper Craze and Two Purple Couches, join together to feature projects, provide a place for bloggers to link up and a crafting/DIY hub of inspiration. Welcome to Week 121 of the Creative Spark Link Party! We know that you are constantly looking for inspiration and we wanted be able to provide a place for you to come for inspiration! So every Wednesday hop on over here to Creative Spark Wednesday where FOUR (eek!) blogs, Weekend Craft, My Paper Craze and Two Purple Couches, join together to feature projects, provide a place for bloggers to link up and a crafting/DIY hub of inspiration. Welcome to Week 120 of the Creative Spark Link Party! We know that you are constantly looking for inspiration and we wanted be able to provide a place for you to come for inspiration! So every Wednesday hop on over here to Creative Spark Wednesday where FOUR (eek!) blogs, Weekend Craft, My Paper Craze and Two Purple Couches, join together to feature projects, provide a place for bloggers to link up and a crafting/DIY hub of inspiration. Welcome to Week 119 of the Creative Spark Link Party! We know that you are constantly looking for inspiration and we wanted be able to provide a place for you to come for inspiration! So every Wednesday hop on over here to Creative Spark Wednesday where FOUR (eek!) blogs, Weekend Craft, My Paper Craze and Two Purple Couches, join together to feature projects, provide a place for bloggers to link up and a crafting/DIY hub of inspiration. Welcome to Week 118 of the Creative Spark Link Party! We know that you are constantly looking for inspiration and we wanted be able to provide a place for you to come for inspiration! So every Wednesday hop on over here to Creative Spark Wednesday where FOUR (eek!) blogs, Weekend Craft, My Paper Craze and Two Purple Couches, join together to feature projects, provide a place for bloggers to link up and a crafting/DIY hub of inspiration. Welcome to Week 117 of the Creative Spark Link Party! We know that you are constantly looking for inspiration and we wanted be able to provide a place for you to come for inspiration! So every Wednesday hop on over here to Creative Spark Wednesday where FOUR (eek!) blogs, Weekend Craft, My Paper Craze and Two Purple Couches, join together to feature projects, provide a place for bloggers to link up and a crafting/DIY hub of inspiration. Welcome to Week 116 of the Creative Spark Link Party! We know that you are constantly looking for inspiration and we wanted be able to provide a place for you to come for inspiration! So every Wednesday hop on over here to Creative Spark Wednesday where FOUR (eek!) blogs, Weekend Craft, My Paper Craze and Two Purple Couches, join together to feature projects, provide a place for bloggers to link up and a crafting/DIY hub of inspiration. Welcome to Week 114 of the Creative Spark Link Party! We know that you are constantly looking for inspiration and we wanted be able to provide a place for you to come for inspiration! So every Wednesday hop on over here to Creative Spark Wednesday where FOUR (eek!) blogs, Weekend Craft, My Paper Craze and Two Purple Couches, join together to feature projects, provide a place for bloggers to link up and a crafting/DIY hub of inspiration. So what is a Link Party? It’s the perfect opportunity to share YOUR projects and gain inspiration from other crafters who are linking up their own! PLUS, as a bonus, when you enter your projects into the link up, you could have your project featured by one of our blogs! Each week, we all choose our own features to post up and show the world AND pin your project to our Party Pinterest Board! Be sure to follow along to get the latest and greatest features from the parties! Welcome to Week 113 of the Creative Spark Link Party! We know that you are constantly looking for inspiration and we wanted be able to provide a place for you to come for inspiration! So every Wednesday hop on over here to Creative Spark Wednesday where FOUR (eek!) blogs, Weekend Craft, My Paper Craze and Two Purple Couches, join together to feature projects, provide a place for bloggers to link up and a crafting/DIY hub of inspiration. Welcome to Week 112 of the Creative Spark Link Party! We know that you are constantly looking for inspiration and we wanted be able to provide a place for you to come for inspiration! So every Wednesday hop on over here to Creative Spark Wednesday where FOUR (eek!) 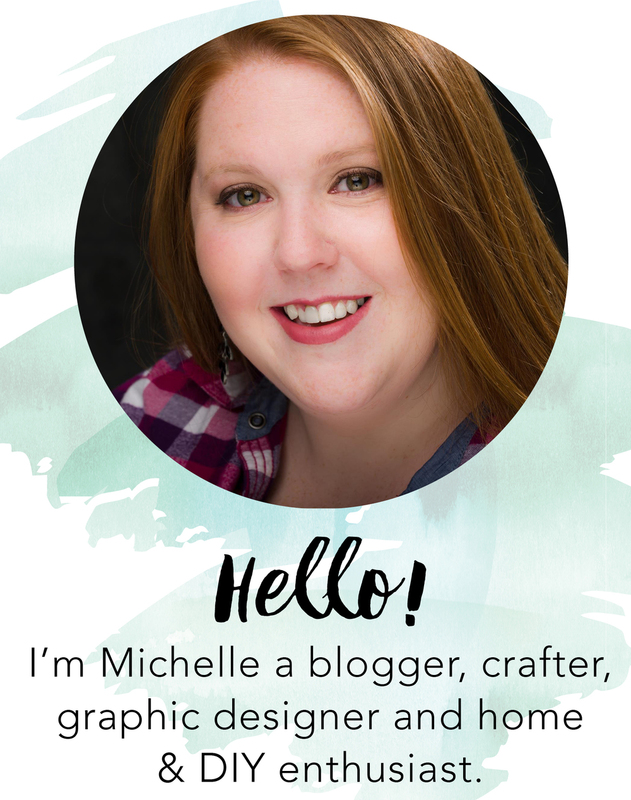 blogs, Weekend Craft, My Paper Craze and Two Purple Couches, join together to feature projects, provide a place for bloggers to link up and a crafting/DIY hub of inspiration.